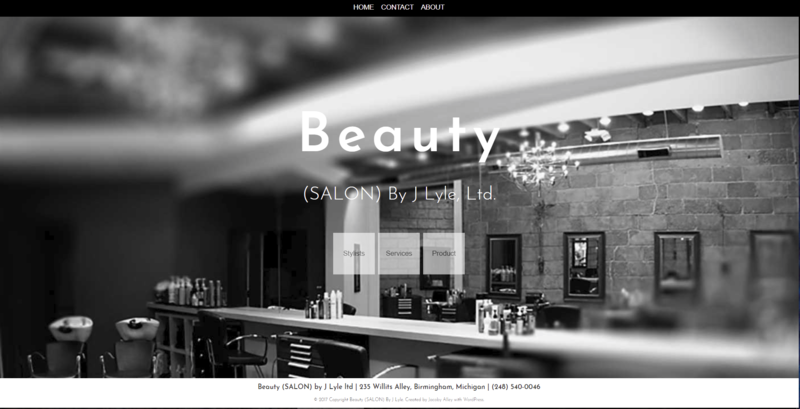 The project: Beauty(Salon) is a small boutique salon in Birmingham, Michigan run by Jeremy Lyle Tomkinson a.k.a. J. Lyle. Beauty is booked constantly and boasts serious talent in the coiffure industry. Jeremy keeps the shop austere but comfortable. He says his focus is purely on his clients. 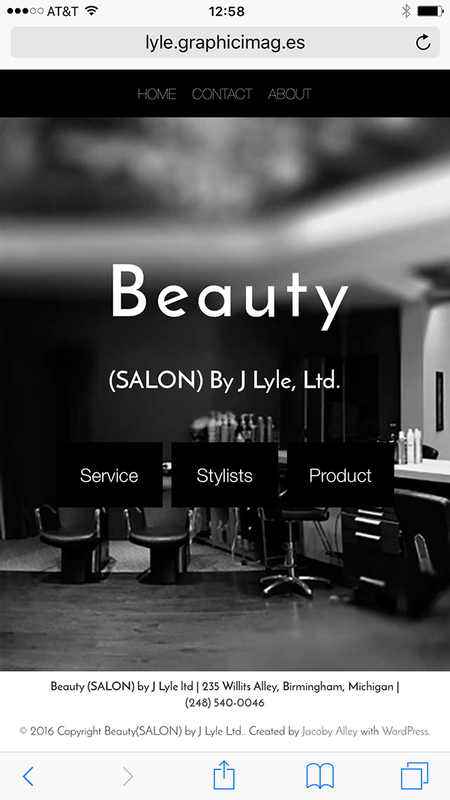 He approached Jacoby Alley in 2013 to create a new website for Beauty(Salon). 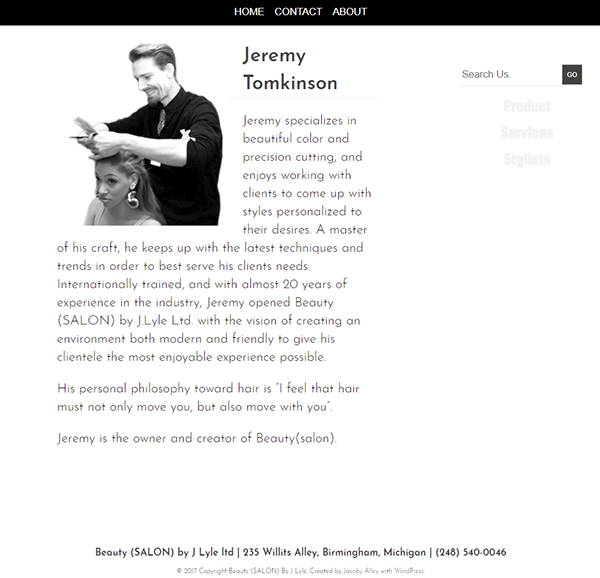 The requirements: Jeremy specified he wanted to retain his studio's minimalist feel with the website. 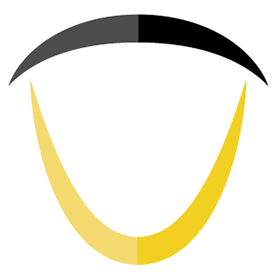 He already had a font he liked and chose white, black, and violet for the site's primary colors. He also made clear that he wanted the website to be clutter-free and a way for clients to 1) know what services he offered and 2) be able to contact him as efficiently as possible. No extraneous clutter. The result: The site I developed for Jeremy has an almost "film noir" feel to it. It may seem stark but Jeremy said client reaction has been good - most clients he asked said they liked the simplicity and obviousness of features like "staff", "services", "products", and "contact". 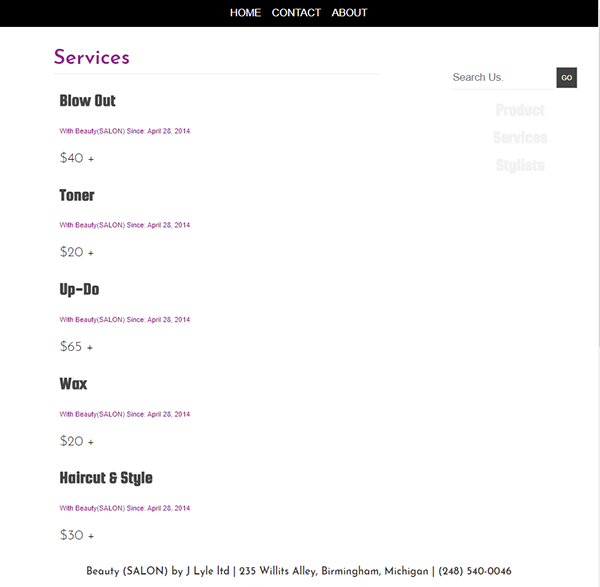 A custom web design for a small exclusive salon in Birmingham, Michigan. All the art is custom, as are the pages - but the back end is run entirely by a user-friendly CMS.